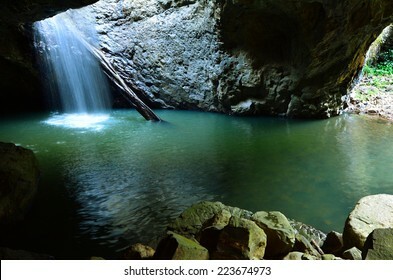 18 Springbrook stock photos, vectors, and illustrations are available royalty-free. 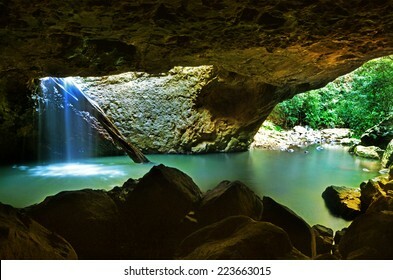 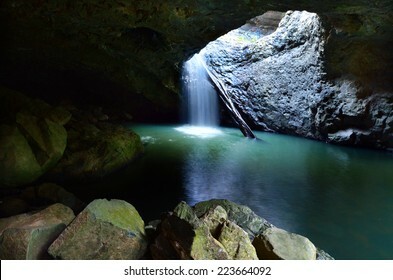 The Natural Bridge waterfall at Springbrook National Park in Queensland Australia. 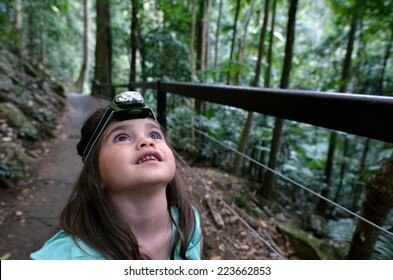 Child (girl age 04) during a rainforest walk in Springbrook National Park in Queensland Australia. 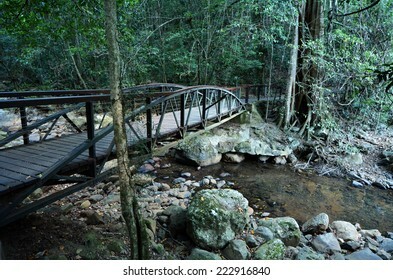 An empty wooden bridge over a creek in Springbrook National Park in Queensland Australia. 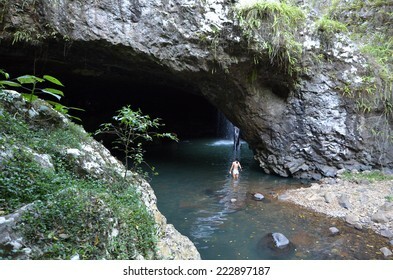 GOLD COAST - OCT 06 2014:Couple swim in Natural Bridge at Springbrook National Park in Queensland Australia.It's a World Heritage Rainforest featuring many waterfalls, trees and fascinating wildlife. 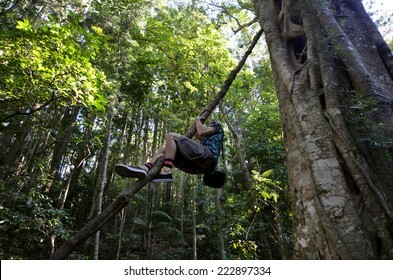 GOLD COAST - OCT 06 2014:Man climb on Springbrook Leatherwood tree in Springbrook National Park in Queensland Australia.It is a rare rainforest 30m tall tree, discovered only in 1994 by David Jinks. 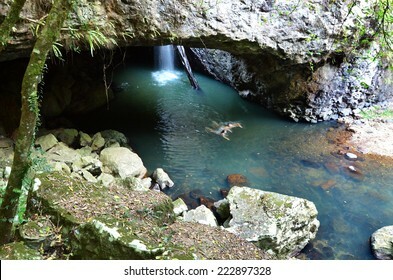 Landscape of Springbrook National Park in Queensland Australia. 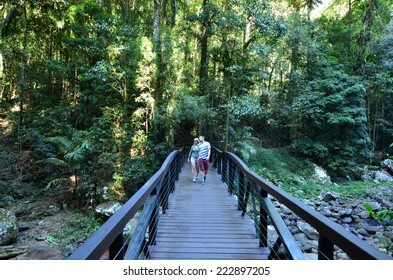 GOLD COAST - OCT 06 2014:Couple in Natural Bridge at Springbrook National Park in Queensland Australia.It's a World Heritage Rainforest featuring many waterfalls, trees and fascinating wildlife. 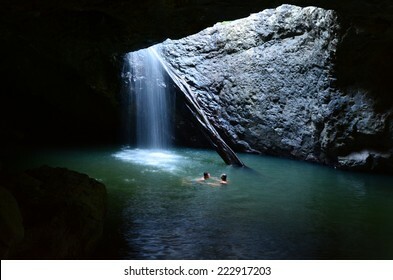 GOLD COAST - OCT 06 2014:Couple visit in Springbrook National Park in Queensland Australia.It's a World Heritage Rainforest featuring many waterfalls, trees and wildlife. 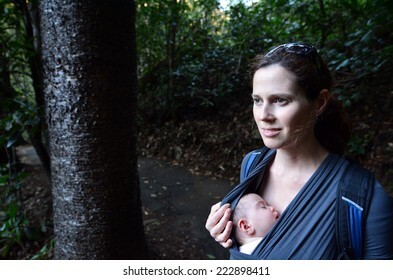 Young woman carries her infant baby during a rainforest walk in Springbrook National Park in Queensland Australia. 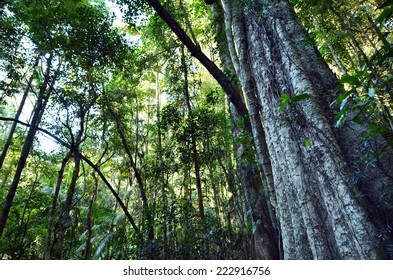 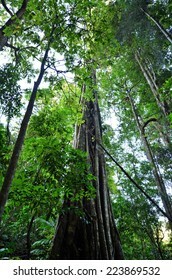 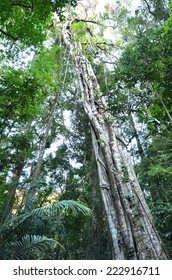 A very rare Leatherwood tree in Springbrook National Park in Queensland Australia. 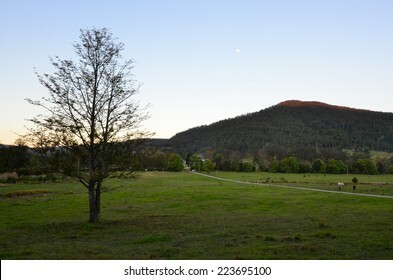 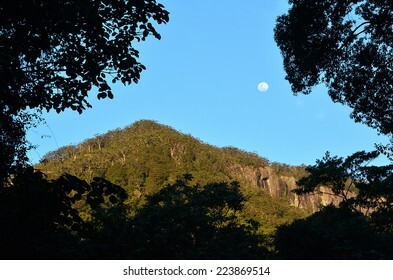 Full moon rise over Springbrook National Park in Queensland Australia. 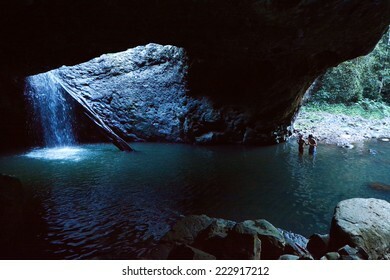 GOLD COAST - OCT 06 2014:Visitors in Natural Bridge at Springbrook National Park in Queensland Australia.It's a World Heritage Rainforest featuring many waterfalls, trees and fascinating wildlife. 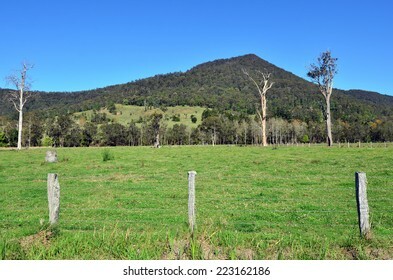 Landscape of Australian farm in Queensland Australia.